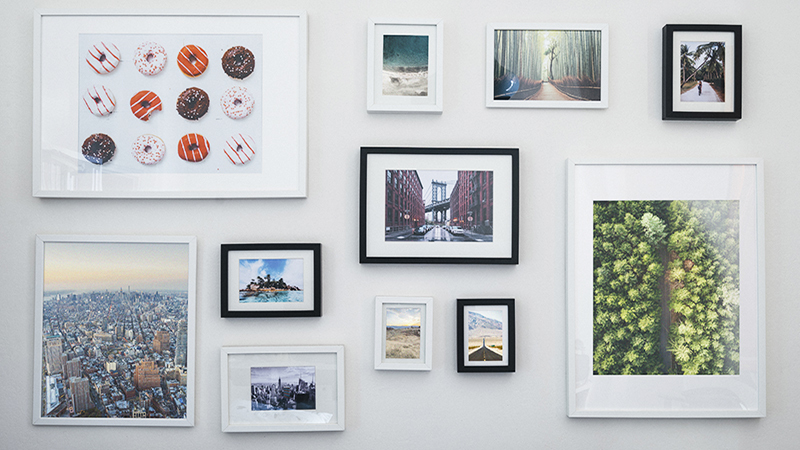 We couldn't call ourselves picture frame experts without talking about gallery walls. The two go hand-in-hand. And while frame walls look super cool, you can't go in on one without a plan. Things can quickly get out of hand if you haven't taken the time to decide where you want your gallery wall to go and how you want it to look. Luckily for you, we're here to break down some of the most important components of an eye-catching frame wall. If you follow these gallery wall tips and tricks, you'll have just the focal point that you've dreamed of. The first thing you need to figure out is where you want to display your wall of frames. 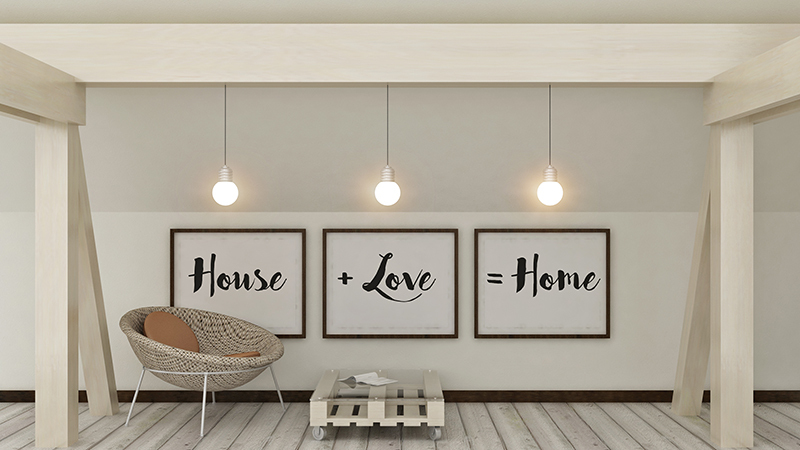 No matter what else you have going on in a space, your gallery wall is going to become the focal point of the room. That means placement is everything. Some prime real estate for a gallery wall includes over a couch, above a bed, around a television to help camouflage it, near your desk or to dress up an awkward space. 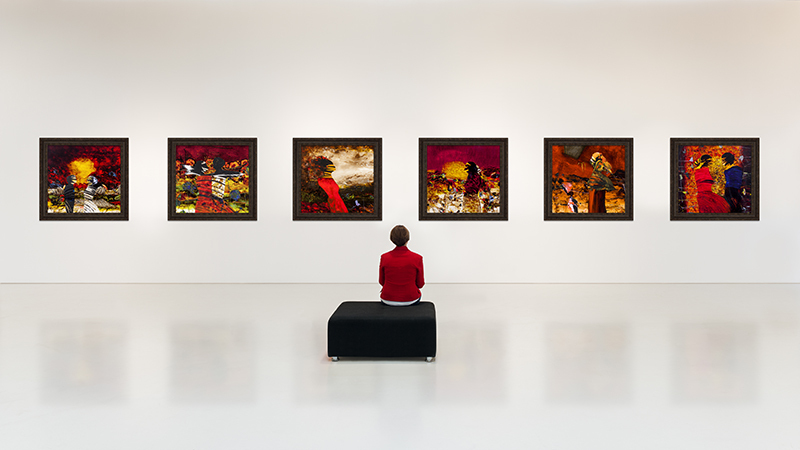 Once you know the area you'd like to create your gallery, it'll be easier to determine the number and sizes of framed art you'll need. After determining where you want your gallery wall, you need to decide how you want your art to be displayed. There's no wrong way to create a gallery wall, but it's important to go in with a game plan before you start putting holes in your walls. Are you going for a symmetrical look? Do you want to hang your picture in straight lines? Would you rather the versatility of a layered photo ledge? Once you answer those questions, you'll be able to move on to curating your wall. It's time to pick the art, and the frames, you'd like to feature in your gallery wall. There are a few things to keep in mind when you go on this journey. For one, pick images that are personal. Your frame wall is going to make a statement so make sure it means something to you. Also, make sure the images and the frames fit your theme. If you're going for a more uniform look, that means keeping the frames the same and the images similar in style and composition. If you're going for a more eclectic look, limit yourself to two to three different frame styles and colors through the art. Don't be afraid to only include pictures and art. Mix the mediums by throwing in mirrors or trinkets as well. Now that you've got all of that planned out, it's time to move on to the execution phase. You've still got a little planning to do before mounting anything to the wall but you'll have a stunning gallery wall before you know it. Before you put any holes in your wall, plan your display out on the floor. That way, you'll be able to get an idea of what fits where. Better yet, trace each piece of your gallery wall onto craft paper and start taping the paper to the wall to get a better idea before you do any hanging. When mapping out the placement of your gallery wall, start with the largest piece. It will act as an anchor for the rest of the wall. Then start filling in the rest of the space. Make sure to leave about 3 inches between each piece to avoid looking cluttered. Once you're happy with your placement, get to work! Take your time hanging each piece to ensure each frame will be level. The most common problem with frame walls is frames that aren't straight. Since the gallery wall is the focal point of the space, a slightly askew component can throw off the overall look. The extra time it takes you to measure and level each frame will pay off in the end! Start building your gallery wall today with this special offer!